We've covered Stella & Dot previously when we hosted out very own jewellery trunk show with our best girlies back in July - read all about it here. 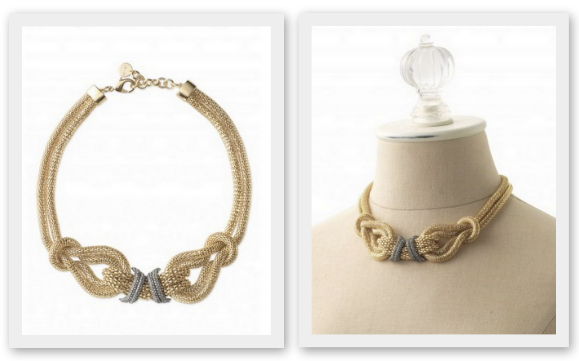 With two new collaborations just announced we're not quite finished talking up this jewellery God send just yet. If the two brands i'm about to utter don't grab your attention then I don't know what will... Alice by Temperley and Lara Bohinc. Swoon!!!! Usually, if you were purchasing a piece from either designer, you can expect your credit card to weep when that little 4 digit pin is punched in, however thanks to S&D you can now be the proud owner of some gorgeous designer jewellery at a fraction of the normal price. Both fashion forward designers have maintained their trademark styles, Alice with her British Bohemia flair and Lara with her strong statement shapes - I for one want every darn piece going! 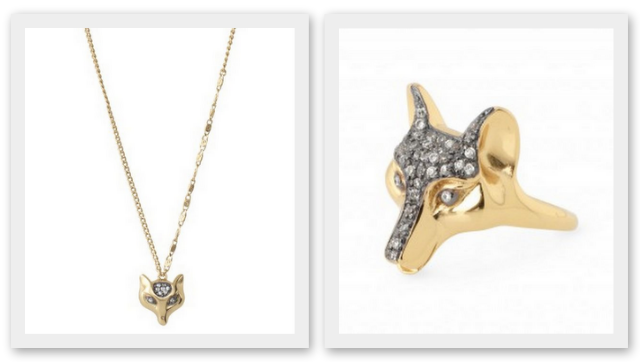 Inspired by Alice's son, Fox London, the Fox Necklace, £32 and the Fox Ring, £45, will have you reminiscing about story time reading Fantastic Mr Fox as a nipper! The adorable Victorian inspired Wonderland Charm Bracelet, £85. 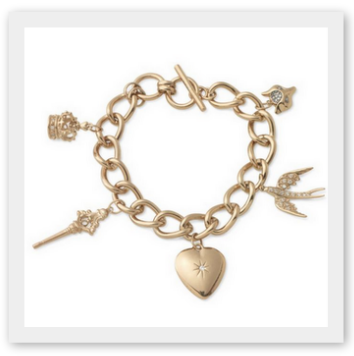 Each charm represents something personal to Alice from love to freedom to British heritage. The piece is also associated and inspired by Alice Temperley's muse, Alice in Wonderland. The only thing left to say is ... get buying because as with all hot collaborations, both collections are limited edition so these babies won't wait around. Over and out brown trout!